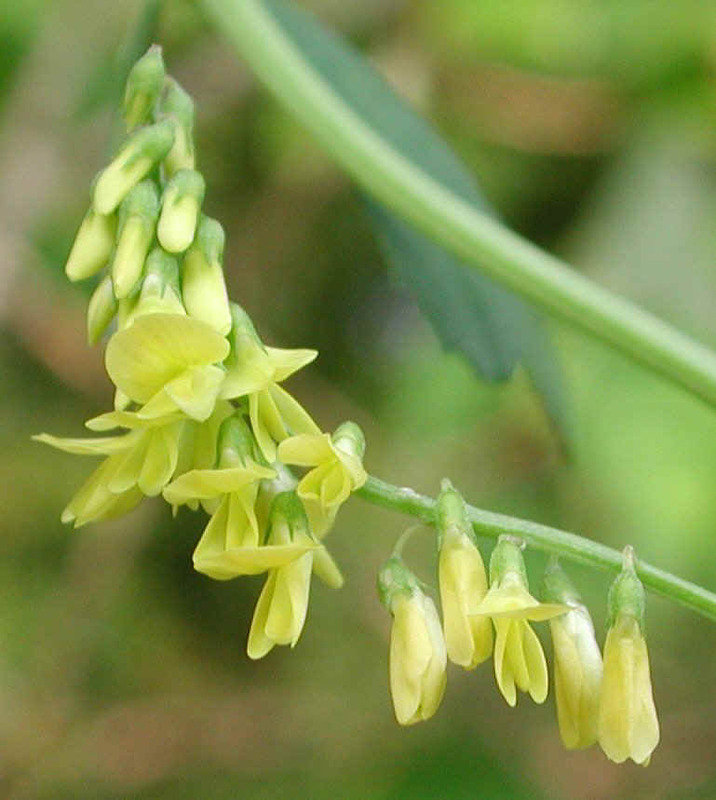 (Yellow Sweet Clover (Melilotus officinalis) - 10a) This is a closer look at the flowering raceme of the yellow sweet clover. Normally, we would expect the see the flowers opening progressively from the bottom to the top of the raceme. In this case the flowers in the middle of the raceme have bloomed first.